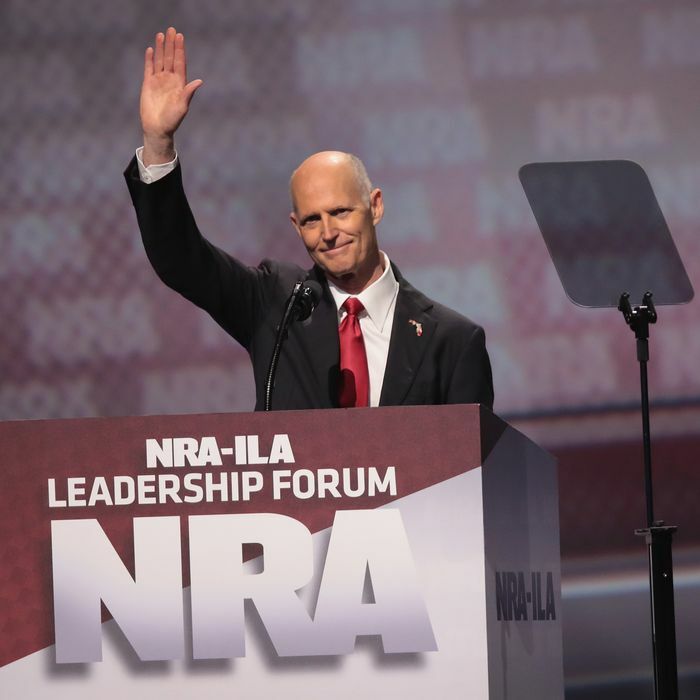 Florida governor Rick Scott speaking at the NRA’s annual meeting last year. 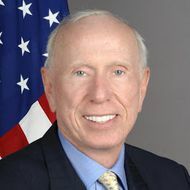 Al Hoffman Jr., a big-shot GOP donor from Florida, announced on Saturday that he will no longer contribute money to any candidates or groups that don’t support a ban on assault weapons for civilian use, the New York Times reports. The real estate developer and former ambassador to Portugal, who has donated millions of dollars to GOP candidates and causes, and was a particularly strong supporter of George W. and Jeb Bush, says he will try to line up other Republican donors to withhold money over the issue as well. Hoffman has pushed for more restrictions on guns before, but has never threatened politicians’ pocketbooks until now.